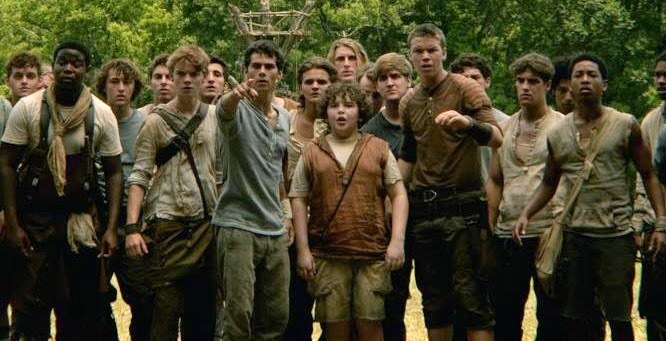 16-year-old Thomas awakens to find himself in The Glade, an unfamiliar settlement populated entirely by teenage boys. He remembers neither his history nor his name, initially, but is told that it will come back to him. This has happened before, the other boys inform him; a new boy arrives in The Glade every month. The Glade is green clearing surrounded by an ever-changing maze, and the boys want to get out. 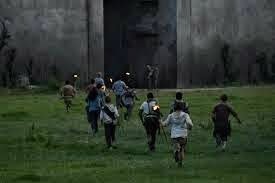 However, the entrance to the maze closes automatically each night, and no boy has ever survived a night in the maze, so the community of boys has limited access to the maze to a select few. There are monsters that lurk in the maze. 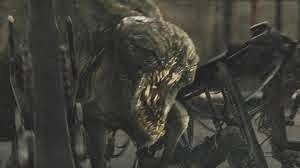 They are called “Grievers,” and they seem to kill by stinging the boys, injecting them with a serum that seems to produce lunacy. Once, to save another boy, Thomas violates the community’s rules and runs into the maze. In doing so, he discovers that the Grievers are not wild beasts, but rather, robotic guards. This raises the question – who controls the Grievers, and why are they so intent on keeping the boys in The Glade? As their outlook seems grimmer and grimmer, one character encourages the other boys to “face the truth, even at a risk.” That’s a great motto for adoptive and foster families; openness and honesty can be painful, but the truth can be processed and integrated in ways that secrecy and lies cannot. In this film, many of the characters do choose to risk facing the truth, and it ultimately works for their benefit. There’s a lot of kid-on-kid, lethal violence in this film. Boys have wrestling matches and fistfights early in the movie, but by the end, we’ve seen one boy imprison another; one boy tries to offer two other youths as human sacrifices, a boy shoots another, and yet another boy stabs a boy through the heart with a spear. It’s kind of a lot. Perhaps even more difficult to watch – the boys do not know how to cure the Griever-induced lunacy, and so to protect the community, they force infected ones into the maze to die. The film’s monsters are grotesque. 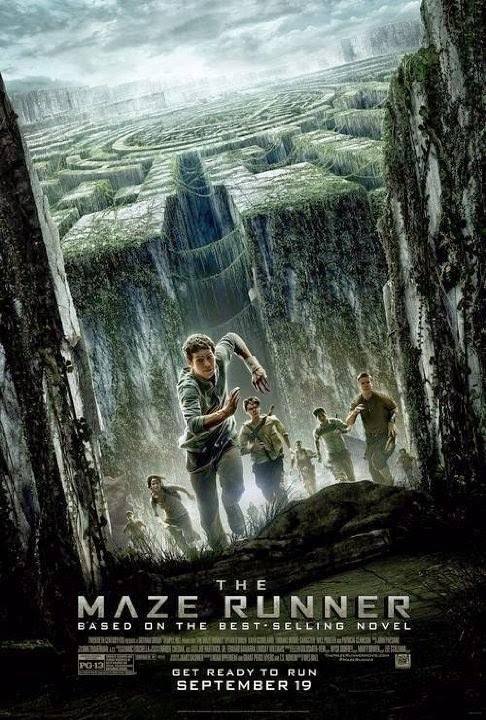 The Maze Runner feels like a dark, sometimes horror-esque meeting of The Hunger Games and Lord of the Flies. This movie will be followed by a sequel; the ending leaves quite a few questions unanswered in a way that felt pretty unsatisfying. The darkness and violence of the film makes it hard to recommend for anyone much younger than 16, in spite of its PG-13 rating. I do value the film’s premise that truth is important and – even though it might hurt to know – it is often the only way to freedom. Except, in this film, the truth the kids eventually discover is only part of a bigger lie. This is probably one to skip; if your teens do watch it, it does provide an interesting platform to talk about the importance of knowing the truth. Why did Gally not want to go into the maze? Is it better for someone to face a difficult or frightening truth, or to try to ignore it?